WASHINGTON, D.C. – Presumptive Republican presidential nominee Donald Trump met with various GOP leaders in Washington D.C., Thursday, including House Speaker Paul Ryan and Utah’s Sen. Orrin Hatch. Following a personal meeting between the two, Ryan and Trump said they are “totally committed” to working together and moving forward. Since putting his hat into the presidential race, Trump has been seen by many as less of a unifier and more of a divider with a talent for insulting just about everyone. Ryan said at the time he was not yet ready to back Trump, who had succeeded in insulting women, Latinos, disabled people and many conservatives in the course of a brutal primary season. He also has alarmed the Republican establishment with proposals including deporting millions of immigrants and barring Muslims from the country. However, some attitudes toward Trump have shifted since winning the Indiana primary last week and the resulting suspension of the Ted Cruz and John Kasich campaigns. Now with Trump as the Republican Party’s presumptive nominee, some within the party have softened their views toward him, even if they have not yet come out in support of him. Ryan himself insisted from the beginning that his only goal was real party unity. His allies in the House have predicted he will get behind Trump in the end, and on Thursday Ryan sounded like he was well on his way. “We talked about what it takes to unify, where our differences were and how we can bridge these gaps going forward,” Ryan said, praising Trump’s “unparalleled” accomplishment in getting more votes already than any Republican presidential candidate in history – 10.9 million even before California and New Jersey vote in June. 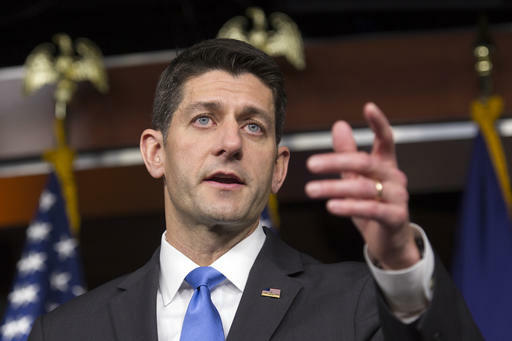 The two discussed “core principles” including limited government, the Constitution, separation of powers and pro-life philosophy, Ryan said. The two also issued a joint statement in which they pledged to work together to beat Clinton. Trump also met with Hatch Thursday. The senior senator from Utah pledged his support to helping Trump since he is the Republican Party’s presumptive nominee. 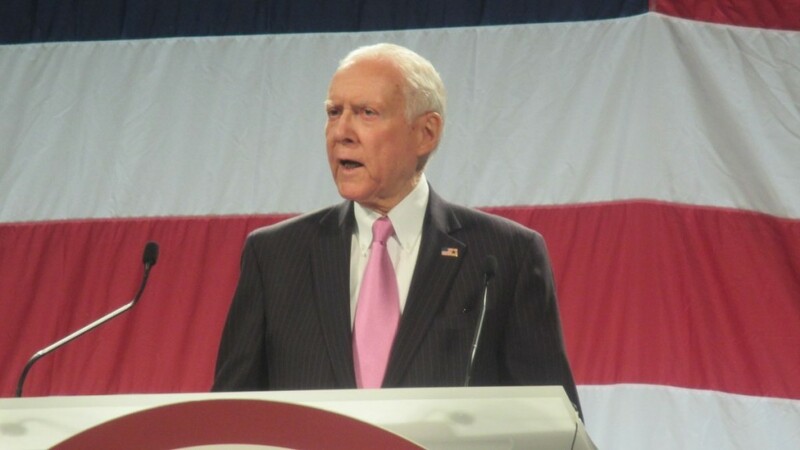 Hatch had stated he would support whomever the nominee would be, and had previously endorsed Jeb Bush and Marco Rubio. “Now that Donald Trump is the presumptive nominee, I will do what I can to help him run a successful campaign,” Hatch said in a statement Thursday. Hatch said this election cycle was possibly the most important of his lifetime and that “it is vital” Hillary Clinton’s bid for the White House is defeated. The future make up of the Supreme Court is also a critical matter, he said, and has offered Trump his assistance in picking out potential nominees. Trump came in last in Utah among the state’s Republican caucus goers March 22. Cruz took 71 percent of the vote, with Kasich and Trump a distant second and third at 16 percent and 14 percent, respectively. 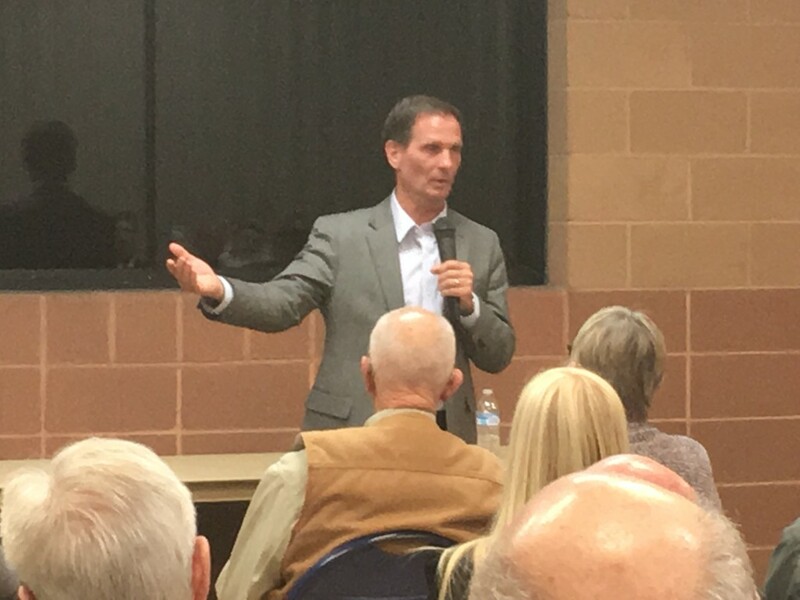 Though they have issues with things Trump has said during his campaign, Reps. Chris Stewart and Jason Chaffetz have said they may nonetheless support the GOP’s presumptive nominee in an effort to unify the party and beat Clinton. In March, Stewart compared Trump to Italian fascist dictator Benito Mussolini due to comments made over using the military to take out civilians – specifically the families of suspected terrorists. A retired Air Force officer, Stewart told Fox 13 News he took issue with the comment. Following Trump’s winning of the Indiana primary, Stewart now calls for party unity. “While Mr. Trump wasn’t my first choice, we must move forward and unite to defeat Hillary Clinton,” he said, as reported by The Associated Press. Though he originally endorsed Cruz, Utah Gov. Gary Herbert has also said he would support Trump as the GOP candidate. However, Utah’s other senator, Mike Lee, said Wednesday during a tele-town hall meeting with constituents that he isn’t ready to endorse Trump, saying he “scares me to death.” Lee said he would wait and watch before making a decision. Oral Hatch supporting Trump is No surprise. The Republican Party comes before the country’s best interest and before his constituents wishes. The only things that rivals the party, are special interests and their lobbyists. He needs to retire to Pennsylvania so he can spend his time writing crappy music. Godisdead – readers can see that you’re an extremist just by your screen name. If anyone should leave the state (or the country), it’s you. Where could he/she/it go? Somalia, Chad, Niger, or Caliphonia are the only places I can imagine. He might have a poor chance of survival in the African outback but it would be right at home in Cali.